McElroy and McElroy Productions. 1984. Director: Russell Mulcahy. Music: Iva Davies. LP (ST) EMI. P-430006. 1984. Gatefold. 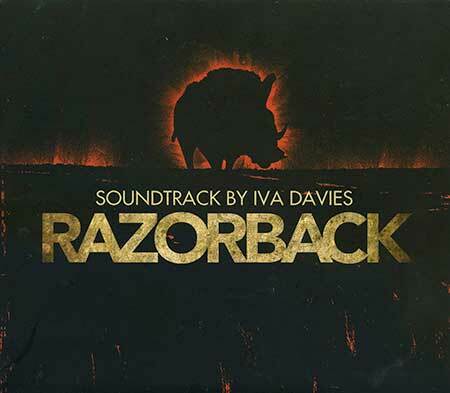 Music Composed and Performed by Iva Davies. Produced by Iva Davies. Engineered by Spencer Lee. Mixed by Tim Kramer. Recorded at Studio 301, Sydney, Australia. Mastered at Studios 301 utilising the “Maxicut Process.” Pat. App. Guitars on “Saltlake Walk” and “The Desert” by Bob Kretschmer. Bass Guitar on “The Desert” by Guy Pratt. Sound Effects courtesy of Greg Bell and Associates. Iva Davies appears courtesy of Regular Records. I.D Music - Cat Songs except * Reprise. 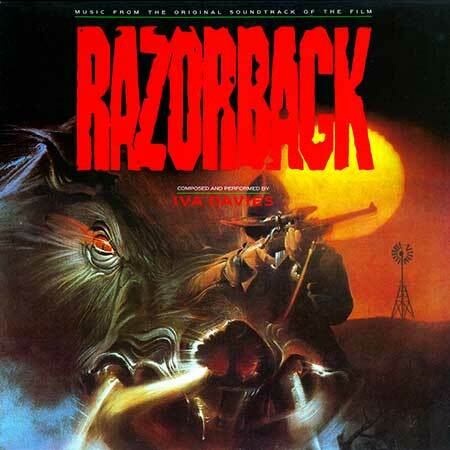 Theme From Razorback (Reprise). * (2:37). 2CD (ST) Universal. DIVAU1009. 2014. "RAZORBACK / BOXES." (Second CD relates to 'Boxes' performed by the Sydney Dance Company in 1985).